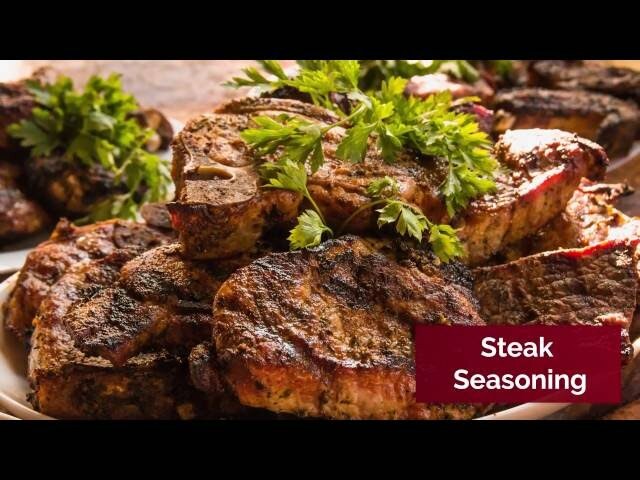 Making your own steak seasoning is so much more satisfying than buying-in. Better yet, sticking with easy BBQ recipes like these means you know exactly what’s gone in there! Simple, all-natural ingredients for healthy BBQ recipes the whole family will love. This gorgeous seasoning is as versatile as it gets – perfect for perking up all your favourite BBQ recipes across the board. It’s a real winner with steaks, but can also get the job done with anything from pork to chicken to fish too! And of course, you’re free to experiment with the formula as much as you like, though we have to say the simplest seasonings, rubs and recipes are usually the best! Simply mix all of the ingredients together in a bowl until fully and evenly combined. Use as a dry marinade, rubbing into your favourite meats or fish around 30 minutes before grilling.